Before you obtain a job in the nation, here are some points you must consider. Details List have to be presented; primarily, these cover claiming points stating your work experience, skills, educational background, and other criteria. They will assist you to get high scores. This way, 65 points is the least you need to avail PR benefits. In additional words, several Skillselect visas constitute the program of General Skilled Migration. The program is structured thus giving applicants with full leeway where points are given for candidates possessing Skilled Independent (subclass 189) Visa, Skilled Nominated (subclass 190) Visa and Skilled Regional (subclass 489) Visa. Young and middle-aged people score fewer points concerning to those in the age group of 25-32 where 30 points are the highest you score. A good band of 8 or higher in IELTS test allows you to get 20 points, 10 points for seven band and there will be no points in case your scores are 6 or higher. Ph.D. holder able to obtain 20 points. If a candidate has a doctorate, he can get 20 points, and if he holds a Bachelor or Master’s program able to obtain 15 and 10 points if he has an Australian Diploma or trade qualification. If a candidate has finished a 2-year study program in Australia Regional, he can get 5 points. The program would be a trade qualification, diploma or degree. If your partner/spouse is not an Australian resident and has particular qualifications/skills to her credit, you can still deserve 5 points on her behalf. Still, she has to satisfy specific GSM conditions mentioning age, the score of IELTS as well as chosen occupation. The list also comprises other elements where the candidate gets points. These include Sponsorship and Professional Year and a nomination for subclass 190 and 489. Get sponsored by Territory Government or Australian State. 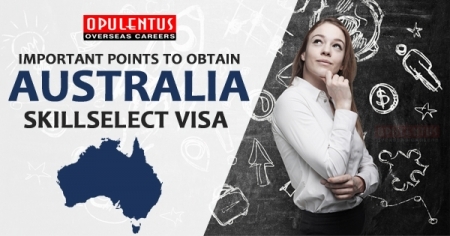 After that, you able to claim points below Skilled Nominated (subclass 190) visa and Skilled Nominated or Sponsored (subclass 489) Visa (Provisional).